The Sanctuary. A well-designed 2 bedroom unit offering stunning views and versatile accommodation. Located in Na Kluea, this complex offers complete luxury. There is direct access to a beautiful beach, a choice of swimming pools, sauna, gym, secure parking and top notch security. The apartment is well fitted and ready to move into, with en-suites to the master. 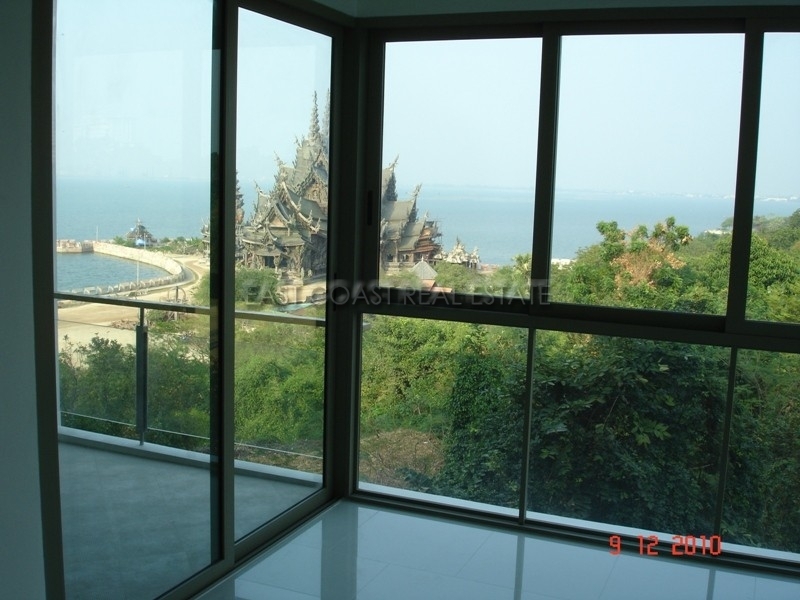 The balcony overlooks the Sanctuary of Truth and towards the sea, accessed both from the bedroom or the living room. The location offers peace and tranquility, and being located in Na Kluea, offers easy access to Chonburi, Bangkok and beyond without getting snarled up in the Pattaya traffic. Restaurants, shops and bars are plentiful in the Na Kluea area, and it’s a simple taxi ride to the centre of Pattaya. This is a good size for a long term rental. The property is also for sale in FOREIGN name, with transfers being split 50/50.